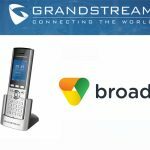 Recently, we interviewed Steve Davis, Vegastream’s Executive Vice President of Sales and Marketing to learn a little more about the company, what its new range of VoIP gateways with integrated ADSL modems mean for our customers and to get Vegastream’s view on the future of the telephony market. 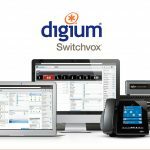 [VoIPon] Recently Vegastream announced its new range of VoIP gateways with integrated ADSL modems. What benefit do these products bring to the customer and who would be an ideal customer these products? [Steve Davis, Vegastream’s EVP of Sales and Marketing] Ok, great Kathleen, before I start, perhaps I should say a few words about Vegastream for some of the listeners who aren’t as familiar with us. We’ve been around for over 10 years now in fact it was our tenth anniversary last year, and we’ve been involved in VoIP since its very earliest stage. We’re a British company. Our R & D is done in Europe; most people in VoIP do know about us today. 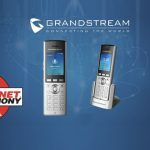 But of particular interest to your listeners is the fact that we have recently introduced a new range of gateways that have an integrated ADSL modem. 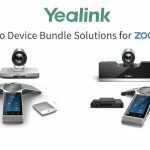 The reason behind this is to reduce the cost of IP deployments and to be able to improve the level of customer service, when VoIP services are being installed. Because it’s basically a one box solution, the hardware costs are significantly reduced. And, the amount of time an engineer has got to spend on site is also significantly reduced. In addition to those obvious benefits, we now have the ability to do some more in depth analysis of problems deploying VoIP services, such as packet loss. Are they occurring on the LAN? Or, are they occurring on the WAN or are they occurring on the ADSL service? So, we can help our customers be a bit smarter about diagnosing where problems are and making it easier for them to take action to rectify the problem. In terms of who we hope to buy these solutions, it’s basically service providers and our channel partners. And the ADSL gateways are really targeted at the sub-thirty employee end users. That’s the sort of market place that we think that these products are going to be used. [VoIPon] What makes these products unique? [SD] The unique part comes from what Vegastream as a company delivers. We are very strong in ISDN deployments. Because of our European based R&D, we really understand ISDN technology. And we’ve had exposure to probably the whole range of ISDN type of deployments in the field. 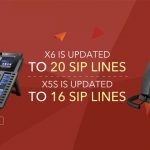 We’ve developed our own SIP stack, which gives us the ability to make changes as SIP evolves as a technology, and our experience of having over 15,000 products in the field give us a unique insight into the problems of deploying VoIP services. I guess one of the other points I should raise, is the fact that we work very closely with our service provider customers and with the soft switch manufacturers, so we have a unique, understanding of how our products are deployed, and the problems associated with SIP as an evolutionary standard. All that knowledge and all that experience goes into every product that we actually sell and manufacture today. [VoIPon] So what’s ahead for Vegastream? [SD] What’s ahead for Vegastream? Well, I think we are focussed on selling to a large number of tier one and tier two service providers and their channel partners. If I look to the UK for example, we are actively selling to practically every ITSP in the market today. We’re also focussing on probably three new areas of business for us. The first is fixed-mobile convergence, which is a very exciting area of technology. The second is increasing the focus we have with Microsoft OCS, seeing OCS as a product becoming more and more important as a product in the marketplace. We are one of the few European approved vendors of gateways, approved to work with Microsoft OCS and one of the last areas is that we’ve been working on some new feature content to improve the level of functionality we have with Cisco’s unified communications manager. We have the ability to connect analog devices to Cisco’s UCM and give a full range of features to these analog phones and as well as the ability to drive an analog phone up to 8km from the gateway. So in terms of customers, we’re focussing on tier one and tier two players. In terms of technology areas, FMC, OCS and Cisco type deployments. [VoIPon] So in terms of the larger market, where do you see it headed? [SD] Well, I think in 2010, my belief is that SIP trunking is really going to take off this year. I think a lot of the tier one service providers in Europe have been sitting on the fence, looking at how they are going to deploy SIP services, be careful how they start selling them, because they don’t want to cannibalize their existing TDM circuits, but I think that this year, they’re going to get to a point where they’re going to have to go full on into selling SIP service, because otherwise, the tier two and tier threes, are basically going to start eating their lunch. So, I think they really need to get off the fence, and I think that’s going to be a great development in the market place for both Vegastream and our channel partners alike. And the other area I think is really going to come into maturity this year is IP Centrex. I think we’re going to come out of recession and the normal end user is going to start looking at the technology they’ve got deployed and start moving into installing new types of communications systems, as businesses grow out of recession and I think IP Centrex is going to be an area, particularly in the way it’s sold, as a seat per month per dollar basis, you’re going to see a significant growth there, as well. So those are my two forecasts for 2010. [VoIPon] How do you plan to get your channel up to speed on the new range of gateway products that you mentioned earlier? [SD] We’ve got a series of technical road shows planned for the first quarter of 2010, where there is a very large base of engineers, who have already been trained on the existing gateways, and the new gateways, it’s a small extension of the existing knowledge, so we’re doing a series of technical road shows to basically go out and educate those engineers on how to install the ADSL aspects of our gateways. The other thing that we’re doing is that we have a very easy to use quick config tool, which engineers use to install and program our gateways, and this is again being expanded to handle the ADSL aspects of it, and we believe after the training and using the quick config, we believe that our engineers, our channel of engineers can install the gateways within 30 mins of going to a site using those two tools. [VoIPon] Is the new range made in India at your new factory? And if so, why did Vegastream choose that country and what benefits does that bring to the consumer. [SD] Well, yes, the new products are made in our factory in India. There are a couple of reasons why we migrated our factory there over the last twelve months. One of the primary ones is cost reduction. We can make products a lot cheaper, but with as good quality in India, at the previous manufacturer. The other thing is we were hitting real volume constraints with the existing manufacturer. And the third reason was, basically, we signed a very large contract in 2008 and into 2009, where we sold over 38,000 ports of IP to one particular customer. So that means we could have other large opportunities in that market as well. So that’s why we decided to migrate manufacturing to Asia. Steve Davis, Vegastream’s Executive Vice President of Sales and Marketing. This has been a VoIPon VoIP uncovered podcast brought to you by VoIPon Solutions. For more information please visit www.voipon.co.uk.